Drs. 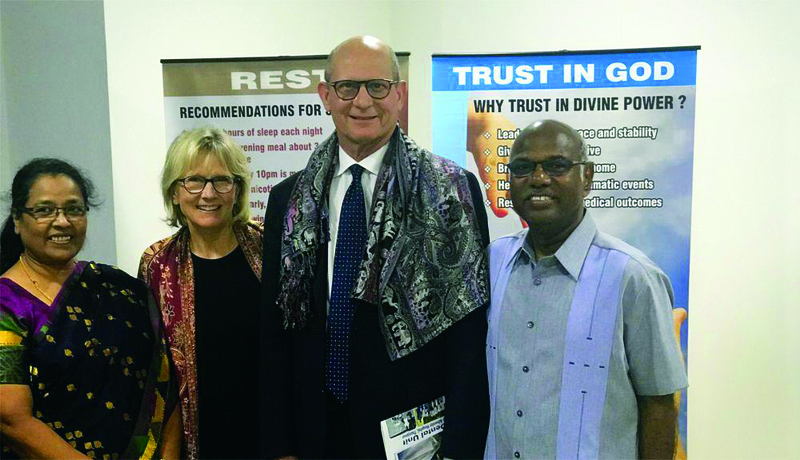 Narendra Rao, right and Daisy Rani Rao, left, with Adventist Church president Ted Wilson and his wife, Nancy, at the wellness center. The Vibrant Life Wellness Clinic café and health foods store opened in April and is popular in the community. Dozens of people flock each week to the Vibrant Life Medical and Wellness Clinic in Bengaluru, India, which you helped fund. The clinic opened in January 2018 and is the first Seventh-day Adventist Church–owned Urban Center of Influence (UCI) in the country of 1.3 billion people. While touring the four-story center shortly after it opened, Adventist Church president Ted N. C. Wilson and his wife, Nancy, marveled at its medical consultation rooms, exercise facilities, seminar hall, pharmacy, and lobby area with sharing tracts, as well as the plans for creating a café and health food store. It’s a miracle that took three years to grow from a corner of the Seventh-day Adventist Medical Center, the only Adventist hospital in Bengaluru, to the current site, said Dr. Narendra Rao, 63, who runs both the wellness center and the hospital. Although the clinic had been open for only a few weeks, its medical team of 5 full-time employees and 10 consultants was already seeing 10 to 15 patients a day. Plans are in the works to increase the number of patients through advertising and the health food store. “We believe that it is God who started the process, and it is God who will lead us through,” Dr. Rao said. Though the Adventist Church has about 1.5 million members in India, Dr. Rao stressed that affluent people remain largely unreached. He also noted that no medical facility exists in the upscale neighborhood where the wellness center is located. His wife, Daisy Rani Rao, a lifestyle medicine consultant at the wellness center, said she was eager to see what the Holy Spirit would do as patients become healthier. Wilson voiced hope that similar activities and wellness centers could be initiated elsewhere in India and beyond—and that they could become self-supporting. 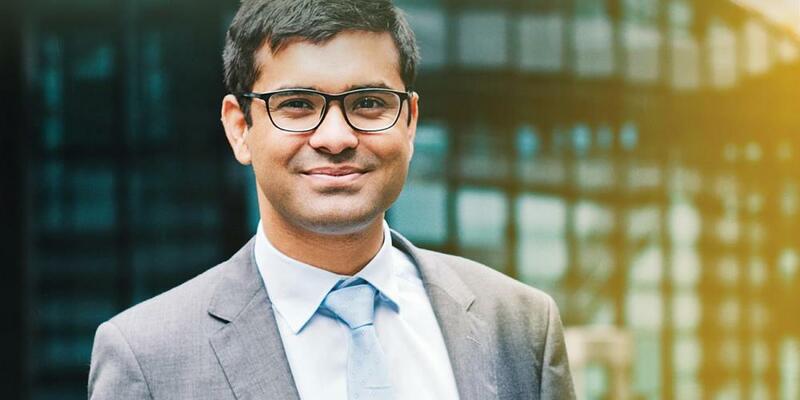 Tentative plans are underway to open three more UCIs in other Indian cities in 2019, according to Ezras Lakra, president of the Adventist Church’s Southern Asia Division, whose territory includes India. Global Mission has extended grants to about 60 UCIs, most of them over the past two years. Gary Krause, who oversees the ministry of Global Mission, said he was heartened by the positive reports about the wellness center in India. Reaching India’s New Middle Class India has become one of the global leaders in technology. With their new wealth, many of these young people are asking questions about life’s purpose and meaning. A Pioneer Life for Me A Global Mission pioneer in Botswana tells his story.